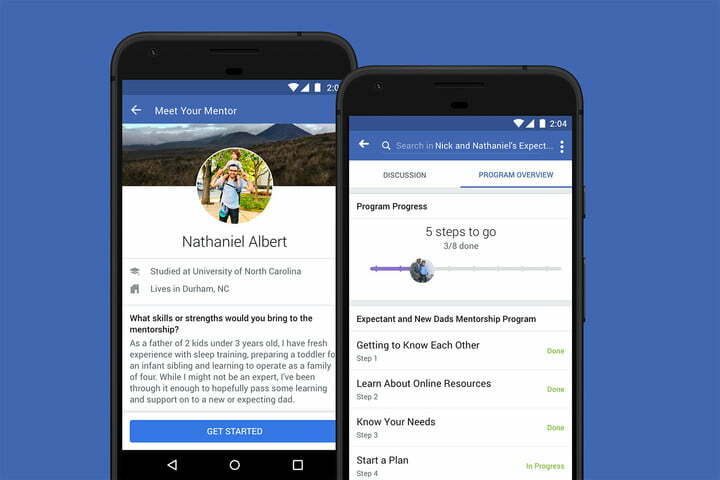 Facebook launches its Mentorship program to help users find mentors online! Facebook is not just resting at helping people find friends and jobs online. It is now going to aid them look for potential mentors as well! The feature, Mentorship, which was announced in the previous year, and released this year after the usual testing phase, helps users find mentors for professional, personal development and parenting related issues. This program is available to groups only, which are registered as of any of the aforementioned types. However, it is still upon the group administrator to decide if he/she wishes to have the feature available for his/her group. If an administrator decides that this program should be present on the group, he/she would first have to create a program out of all the available templates. The templates allow the admin to select the type of program, e.g. encouragement and skill development. Once the users are allowed access to the new tool, they can either sign up to mentor or get mentored in various different aspects. The platform ensures that there is enough one-on-one interaction between the two individuals. Facebook says that Mentorship has been created while keeping in mind privacy and security related issues. Therefore, no one, but the two involved in the program would be allowed to view conversations. Even the group admin would not have access to them. Moreover, features like block are also included to Mentorship. Facebook reports that the tool did really well during its testing phase, and was supported by many communities, especially the parents belonging to LGBTQI+.